This banner celebrates Buffalo Bill Cody Days in Oracle. The original banner promoted Buffalo Bill’s Wild West Show in the late 1800s. William “Flint” Carter prospected and mined the Santa Catalina Mountains for more than four decades and co-founded Cody Days. The fireplace and a cement slab are all that remains of Campo Bonito where “Buffalo Bill” Cody spent his winters managing his mines near Oracle, Arizona. William “Buffalo Bill” Cody didn’t become famous for his mining ventures in the rugged country near Oracle north of Tucson. But mining ventures there were exactly what occupied him after his days of fame as a Wild West Show entertainer in the late 1880s were over. This not-so-well-known part of his life is the focus of a Buffalo Bill Cody Days event in Oracle on Saturday and Sunday, Feb. 23-24. “Buffalo Bill Cody owned several mines at Campo Bonito in the Santa Catalina Mountains, near Oracle, during the last decades of his life,” said Robert Zucker, publisher of Entertainment Magazine and an organizer of the event. “Cody would spend many winters in Oracle managing his mines, which produced tungsten, silver and gold,” Zucker said. He said the fourth annual Cody Days event, free and open to the public, will include local history displays and presentations, entertainment including music, Native American arts and crafts, book talks, treats and a treasure hunt for kids. The activities will be held from 1 to 5 p.m. on Feb. 23 and 24 at the Oracle Inn Steakhouse & Lounge, 305 E. American Avenue in Oracle. “This year’s event also pays tribute to William “Flint” Carter, who passed away in December,” Zucker said. 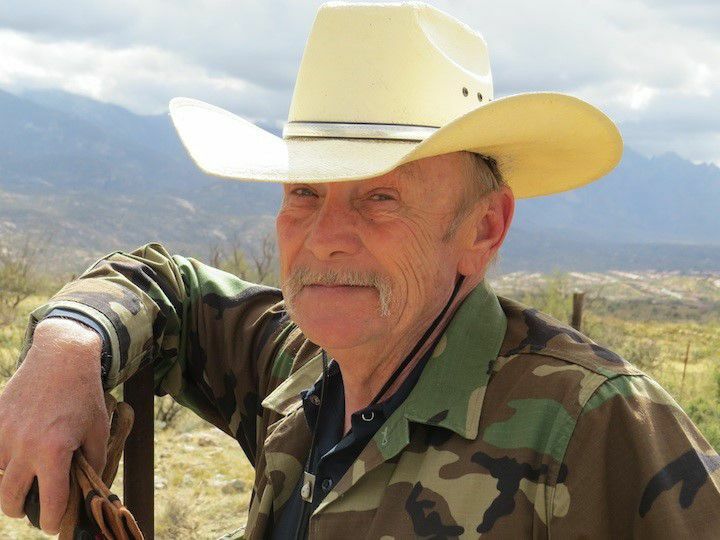 “Carter, Cody Days co-founder, spent over four decades prospecting the Santa Catalina Mountains and held over 100 mining claims in the mountains. “On Saturday, Feb. 23, beginning at 1 p.m. at the Oracle Inn, we’ll be remembering Flint with a presentation and music,” Zucker said. Most people know of Buffalo Bill for his Wild West Show fame rather than his Oracle mining days. Born in LeClaire, Iowa, in 1846, Cody lived an illustrious life that is detailed on the website of The Buffalo Bill Museum and Grave in Golden, Colorado. He was a fur trapper, buffalo hunter, ranch hand, Pony Express rider and Army scout before turning to show business in the 1870s. His Wild West Show in the 1880s was “an outdoor spectacle, designed to both educate and entertain, using a cast of hundreds as well as live buffalo, elk, cattle and other animals,” according to the museum website. Later, in the early 1900s, Cody visited Oracle and invested in several mining claims, and by 1910 he was fully involved in the venture. Cody died in 1917 in Denver and was buried on Lookout Mountain overlooking the city. While some parts of the country are freezing, this desert trail beckons.